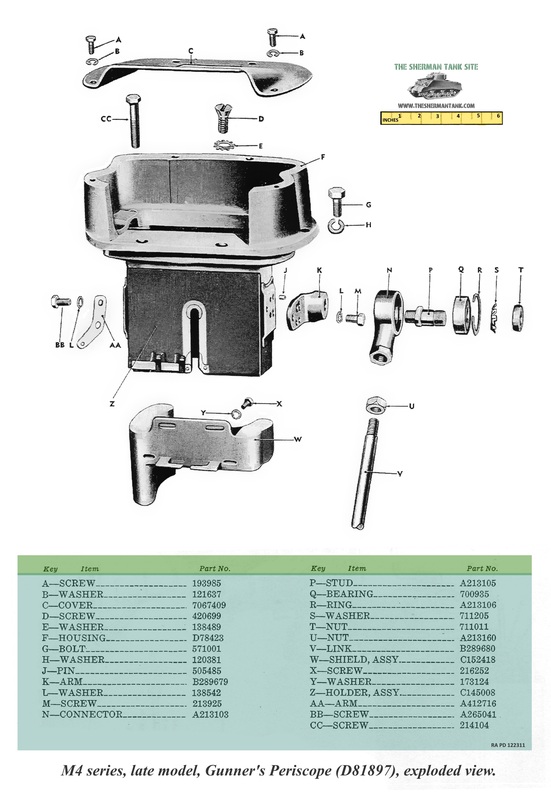 Sherman Tank Turrets and Turret components. 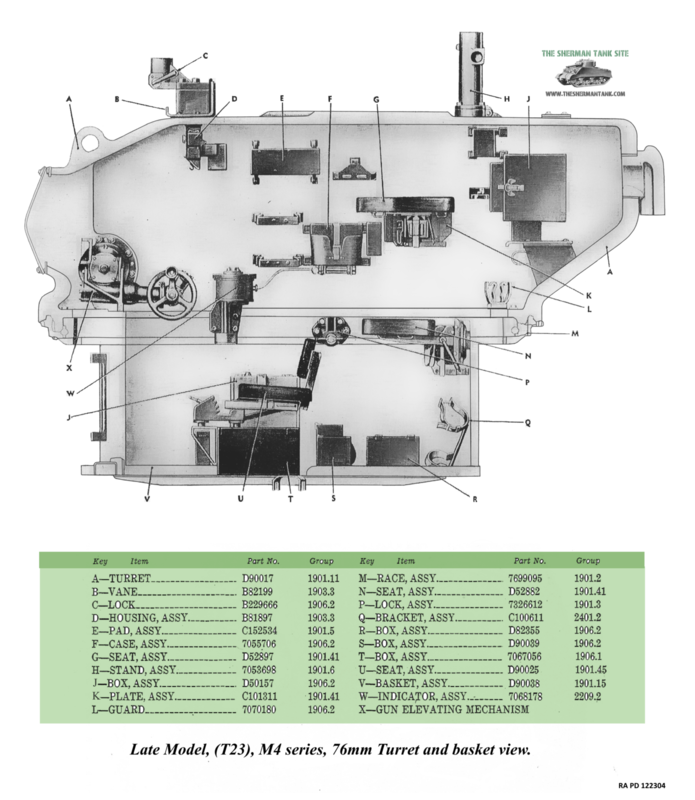 This page will cover the two turrets that came on Shermans, and the components found in and on them. 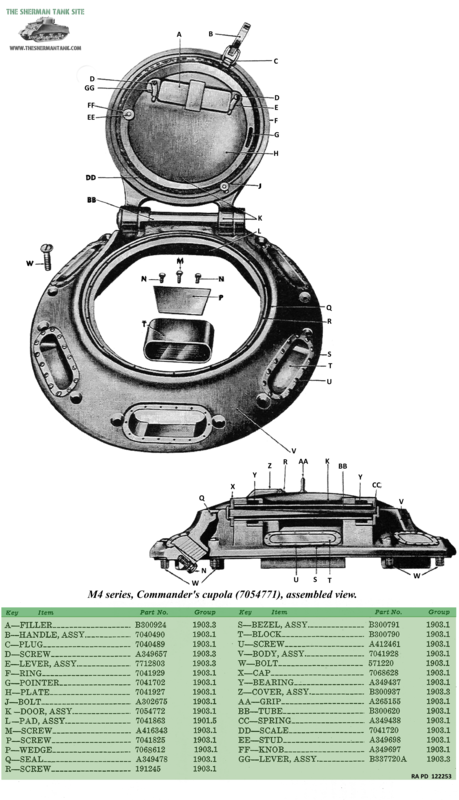 I’ve been cleaning up a lot of images found in poorly scanned Technical Manuals and will put any turret related ones here. For info on the Commander’s position click here. For info on the Gunner’s position click here. For info on the Loader’s position click here. For more info on the M3 75mm gun, click here. 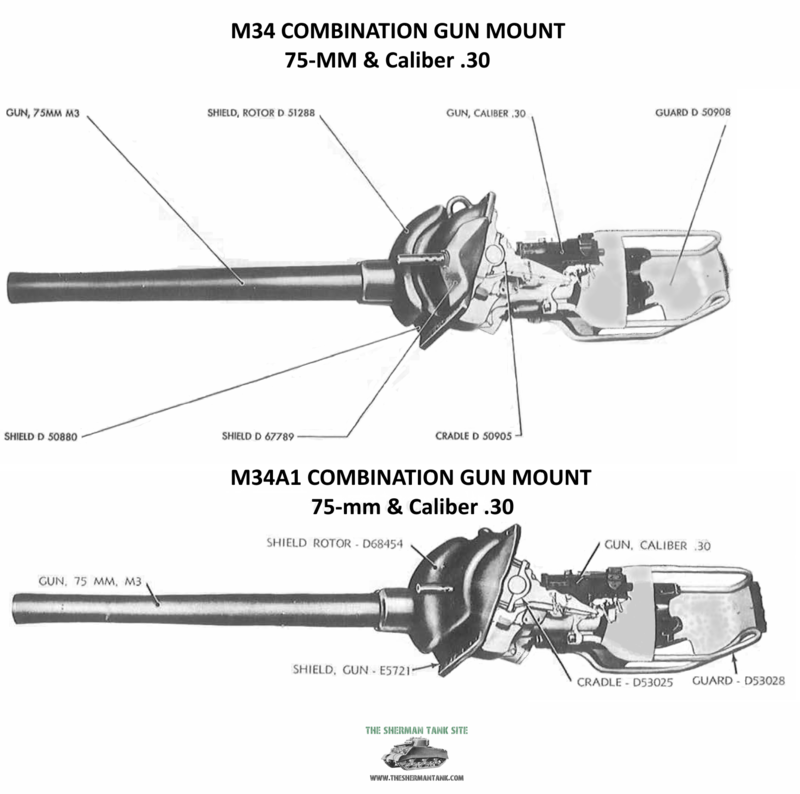 For more info on the M1A1/A2 76mm, gun click here. The D50878 or 75mm turret: The Original Turret. The Sherman tank saw combat with two turret types. The turret it saw combat with first was the D50878 turret mounting the M34 gun mount with an M3 75 mm gun mounted in it. The earliest versions of this turret had a rotor site coupled to the gun, but these were replaced with an improved casting setup to use a retractable periscope to aim the main gun within a few months. These early D50878 turrets had a pistol port on the left side and used the split commanders hatch. 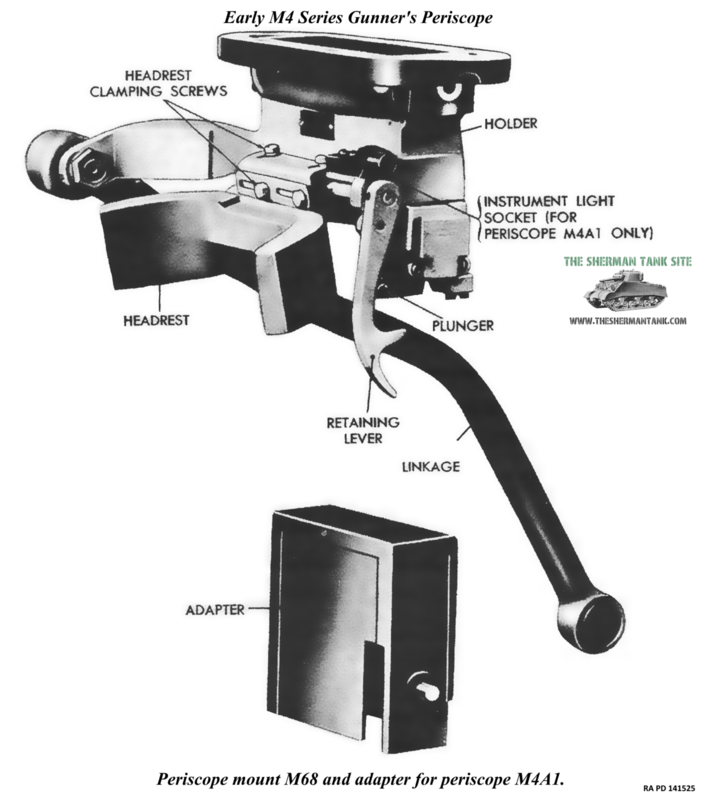 In these images (click for larger versions), we have the early gunner’s periscope mount, and the M34 and M34A1 gun mounts. This basic casting would be used, even though a weak spot was discovered, through late 43, by putting a large patch of armor over it, before it was replaced by an improved casting of the D50878 went into use, these turrets had the thicker armor cast in over the weak spot. This spot was caused by the need to ground out a section of the armor on the inside of the turret to fit the turret drive. 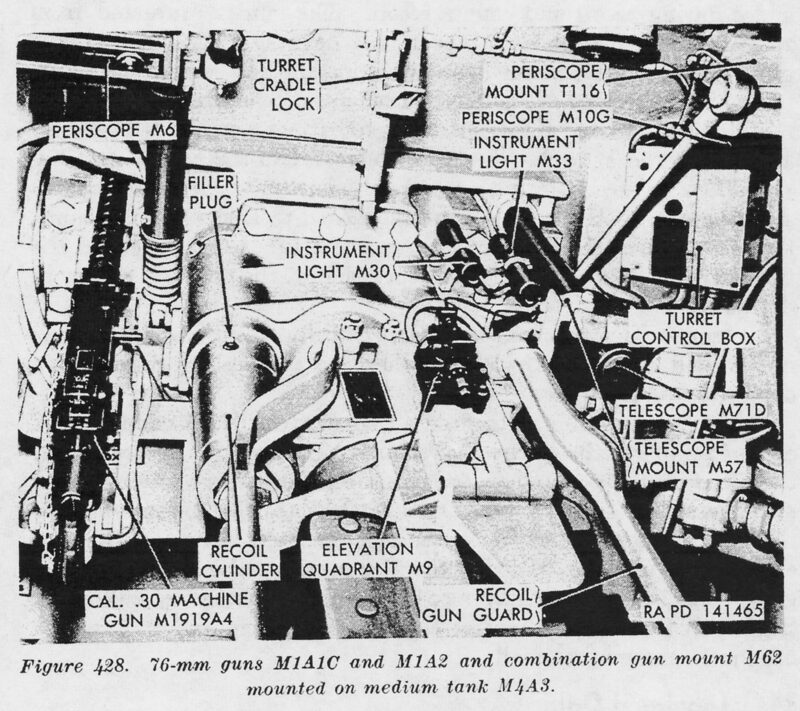 In this image of an early direct vision M4A4, we can see a typical early D50878, with the thin spot in the armor to the gunners right front, and M34 gun mount, with only the telescope to aim the gun with. 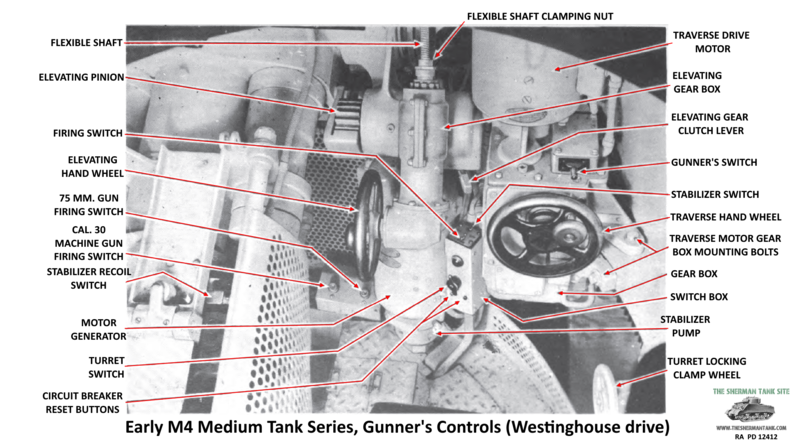 While these changes were going on, a major problem with the Sherman became apparent in the first months of its combat use in North Africa, the periscope mounted main gun sight had a tendency to lose it’s zero due to weak linkage attaching it to the main gun. This was remedied in several ways, the first by improving the strength of the linkage, the second by adding a direct telescopic sight to the gun mount. The new mount incorporating the telescope was the M34A1 mount, and had a full face gun mantlet, improving the turrets protection. Some early mounts were modified in the field and had wings added to the smaller mantlets to protect the telescope and co-ax machine gun. This late early production M4A1, since it does not have a DV port hull, but still has the very early M34 gun mount, and mantlet without protective ears. 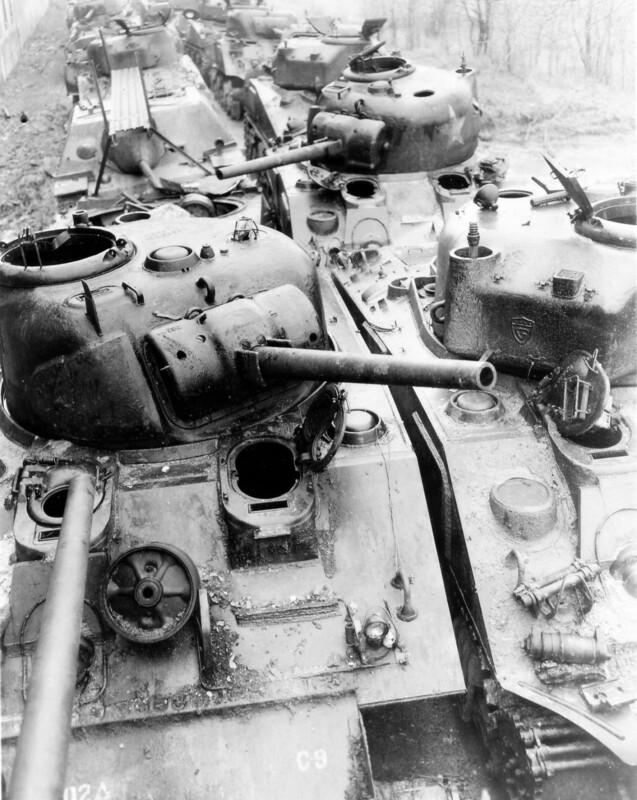 These tanks had the ready rounds around the base of the turret and no protection for any of the main gun rounds. These were not the changes going on, at some point, it was decided the pistol port, generally like by crews in the field, was a weak spot. Tank on the production lines, and in depots welded the pistol port closed, and it was deleted from the casting. The complaints from the using arms were quick and unkind, and it was added back in on the final version of the D50878 casting. The lift ring configuration changed from time to time as well. 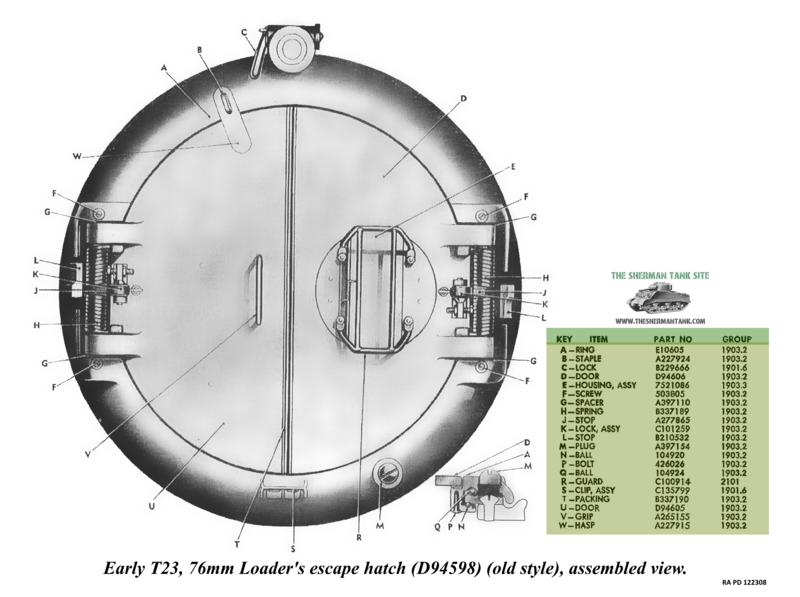 The final D50878 casting incorporated an oval loaders door (hatch) and an opening for the smoke grenade discharger and cast in cheek armor. 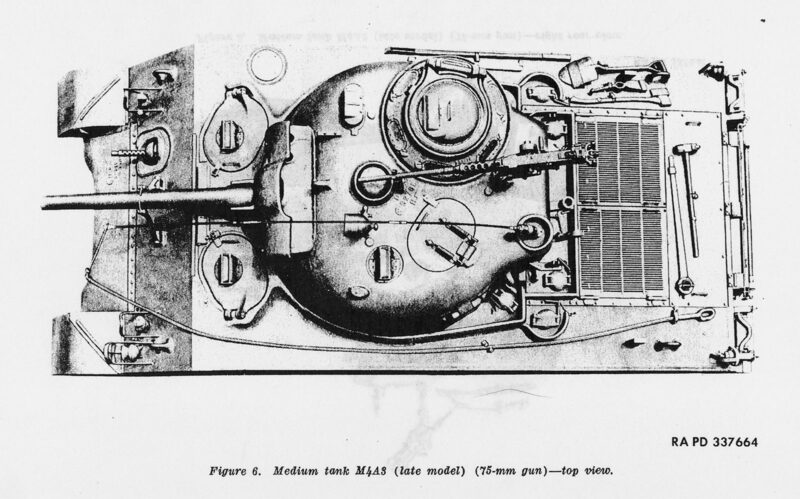 In late 1943 production of the improved larger driver door hulls was starting, and they discovered the turret, and the new hatches interfered with each other. The bustle on these turrets was slung low, this is where the radios were housed in the turret. Like with so many problems, there were several ways to fix it, the first was to notch the armor on the bustle, to clear the drivers door hinges, but the ultimate solution was an all-new high bustle casting, incorporating all the improvements the previous castings had, pistol port too, this was the D78461 casting, and it went into production in late 1943. This new casting was not the end of the story for the D50878 casting though since they had a large number left over from the ARV conversion program. These turrets were upgraded with all the features of the late D50878 castings, with welded on cheek armor, and a cut in loader’s hatch. The add-on armor on the cheek of these mid production M4 tanks is clear. You can see the early commander’s vane sight and the improved full-size gun shield. The D78461 casting saw use on most late model, wet ammo hulls when the 75mm gun was installed. 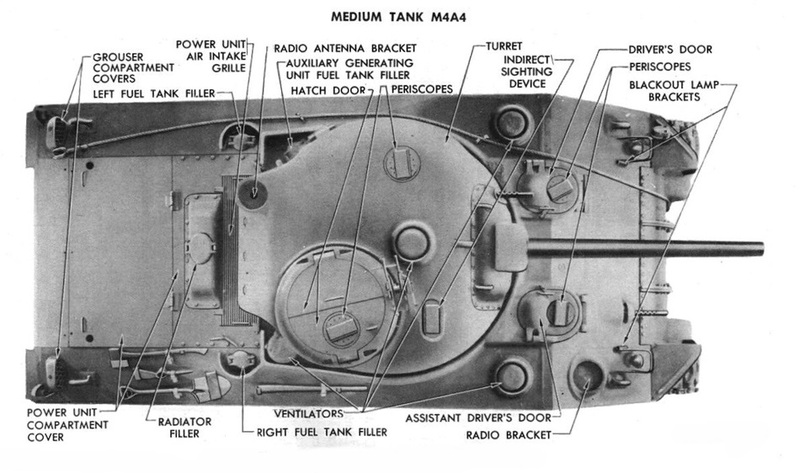 Not many tanks of this configuration survived, but many were produced, including the M4A3 75W, M4A2 large hatch dry storage tanks, M4A1 large hatch 74W tanks, and M4 composite hulls. This is a late model M4A3 75w Sherman and you can just make out the cast in cheek armor. There were a few internal changes on the 75mm turrets as well. 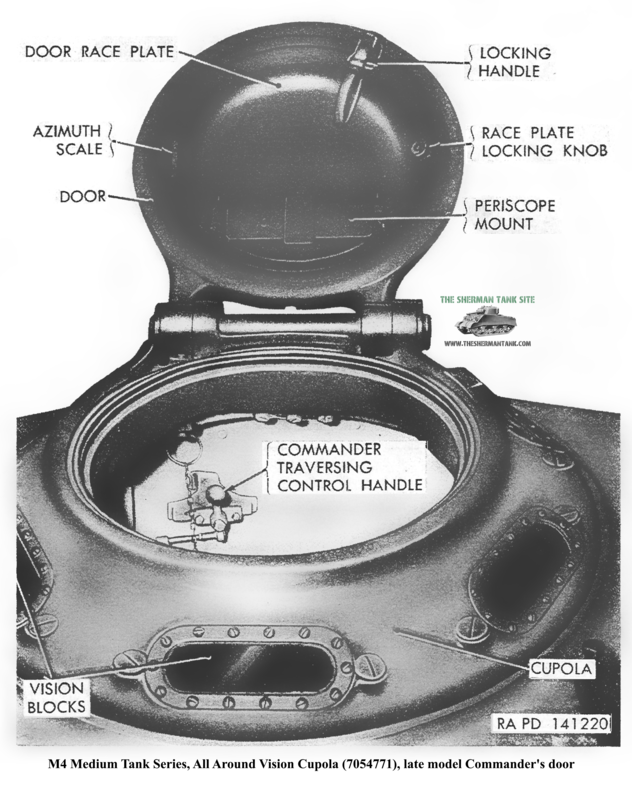 The main being the fully mesh enclosed turret basket, that restricted access to the ammo in the sponsons, and the hull crew from getting into the turret was deleted. Along with the mesh, the 12 unprotected ready rounds stored around the base of the turret, were deleted, and a 4 or 6 round armored ready rack was added to the floor. 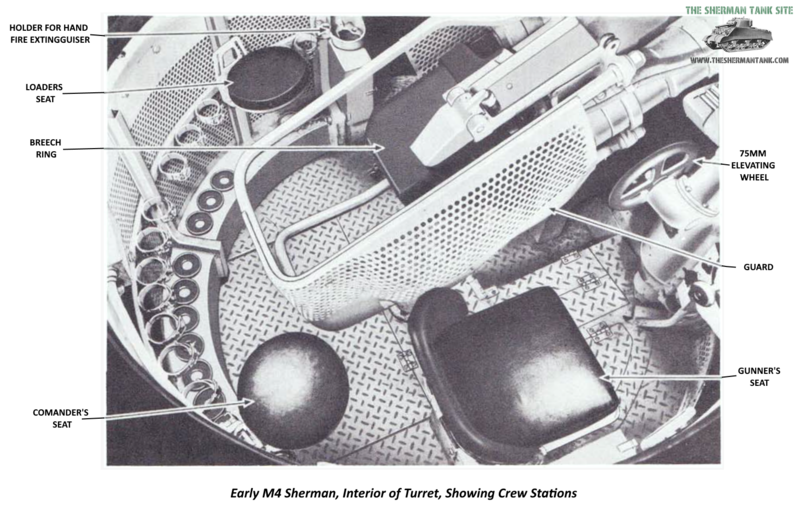 The crew stations varied a bit with the tanks generation as well, with seating and vision device improvements. 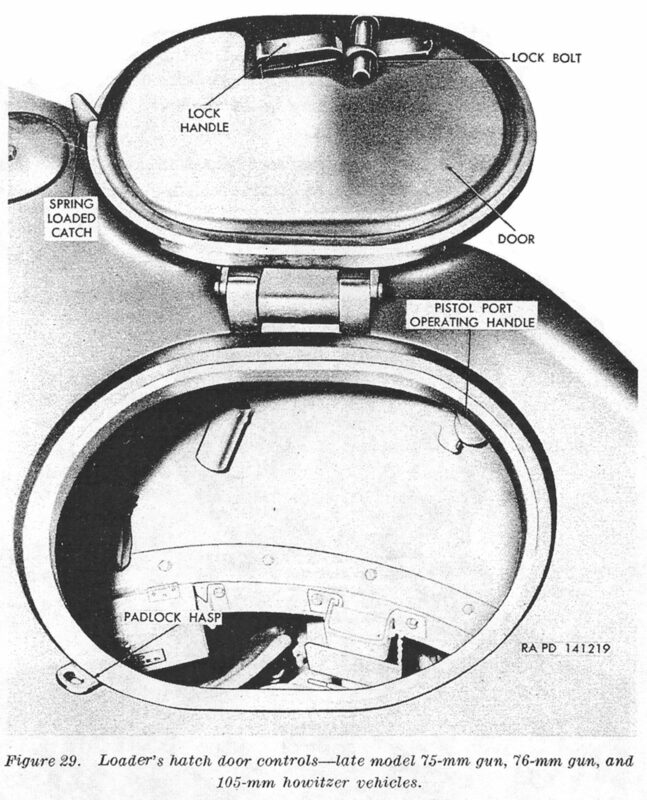 The turret traverse mechanism varied as well since the preferred Oil Gear system was not always available. 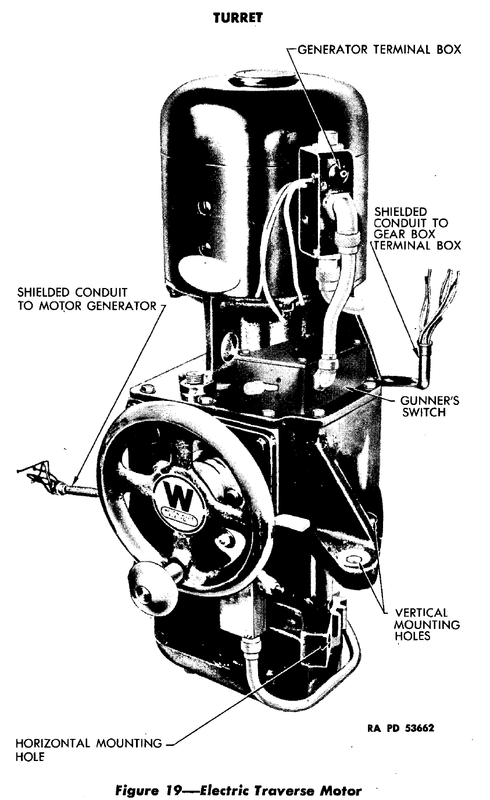 A Westinghouse all-electric system was the main backup, and there was a third hydroelectric system from a company I haven’t identified that also could be but was rarely used. We can see a nice late small hatch M4A1 with a full gun shield and what looks like the cast in cheek armor. It is right next to an M4 with welded on cheek armor. They both have the extra armor over the sponson ammo racks. I can’t tell it the M4A1 hull has cast in thicker armor or welded on patches. There was almost immediate interest in installing a gun with better anti-armor capabilities within the US Army. The new M1 76mm gun was designed to fit into the M34A1 gun mount, so modifying a tank with the gun was easy enough. It worked well enough and the armor board ordered it into limited production as M4A1 (76 M1). When the pilot began testing, some problems cropped up. These problems included gun balance, crew safety, and sighting problems, and they were a big enough deal the production order was cut, and only a few were kept for testing, the rest were converted to regular M4A1 75 tanks. This is the OilGear turret traverse system. It had an electric motor to power a hydraulic pump to drive the turret. This system was powerful but precise enough to do the fine aiming with, and variable speed based on the amount of input the gunner used. It also incorporated a single plane stabilizer that when used, helped the crew get off a very fast aimed shot after stopping. This system was tolerant of turret ring damage and powerful enough to rotate a badly out of balance turret. 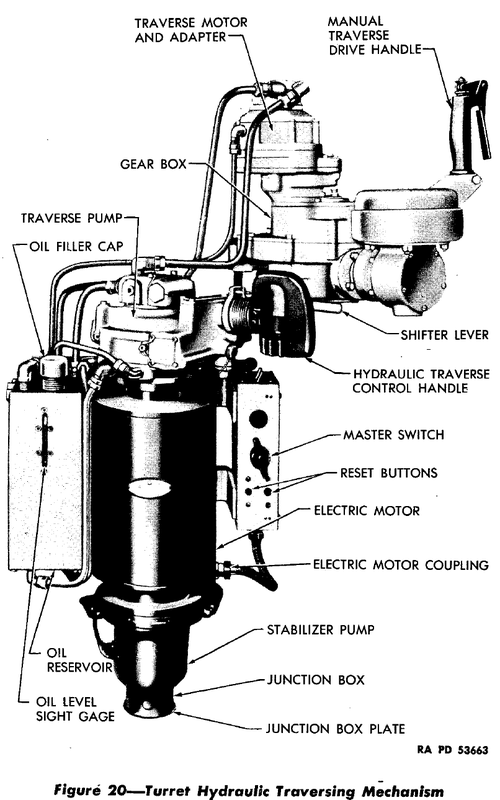 All Shermans had a stabilizer, at least from the factory, but not all used the OilGear drive system. There was an alternate that was swapped in when OilGear units ran short, it was all electric and made by Westinghouse. 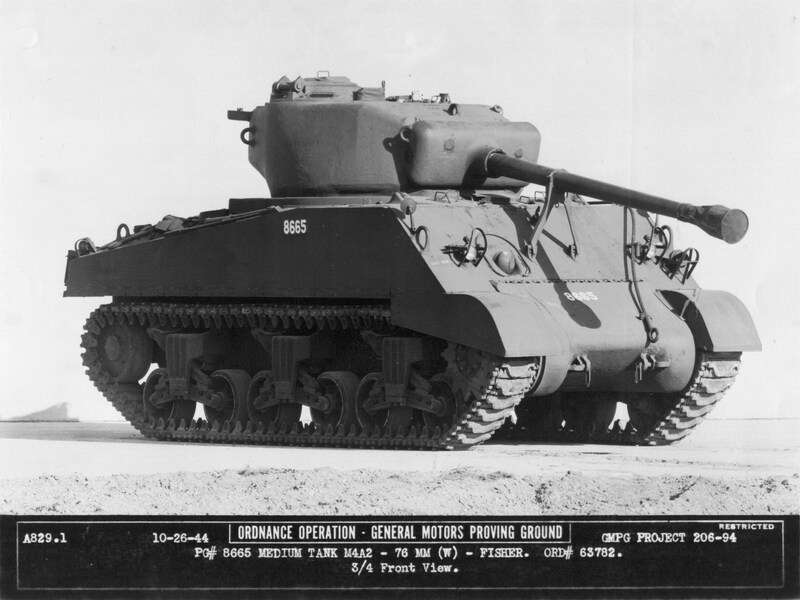 It was not as well liked, and when the Sherman production was consolidated, and the late second-gen tanks went into production, at least all the 76mm armed tanks got OilGear units if not all. The was also a special variant of the high bustle D78541 casting, it was used on the M4 105, and M4A3 105 tanks. It was modified with an extra ventilator in the roof right near the bustle. The 105mm howitzer was called on to do sustained fire missions and needed the extra ventilation to keep the crew breathing. These turrets did not start out with power traverse, but it was retrofitted after the war. 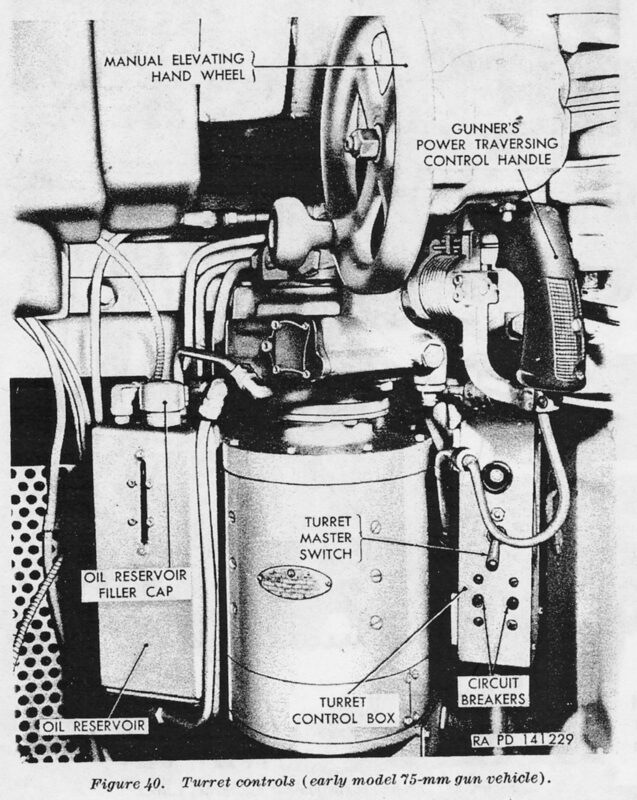 This image shows the Westinghouse system. It used a wheel instead of a pistol grip handle to drive the turret. This system had the same specifications, but its dimensions were clearly different. The system was also not as tolerate of out of balance turrets or damaged turret rings. This precluded its use in the Firefly conversions. 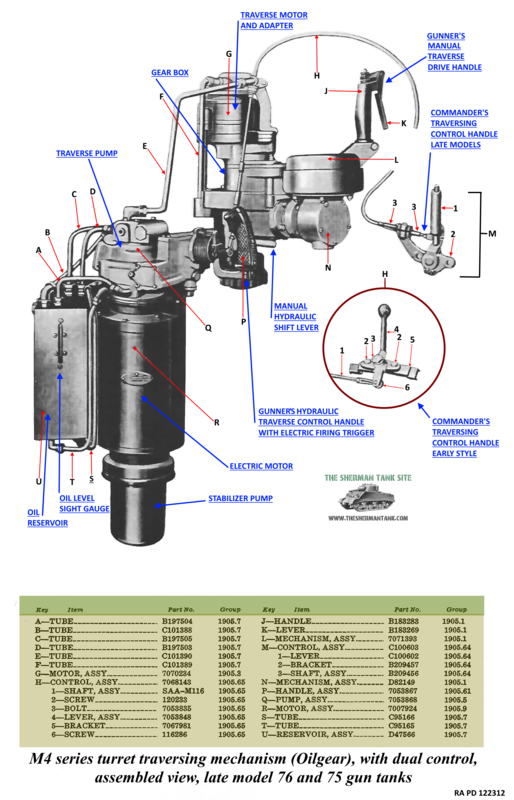 ` This is a picture of the OilGear turret drive as if it were removed. The T23 Turrets: Bigger turret, better gun? The Sherman turret story is not even close to done. 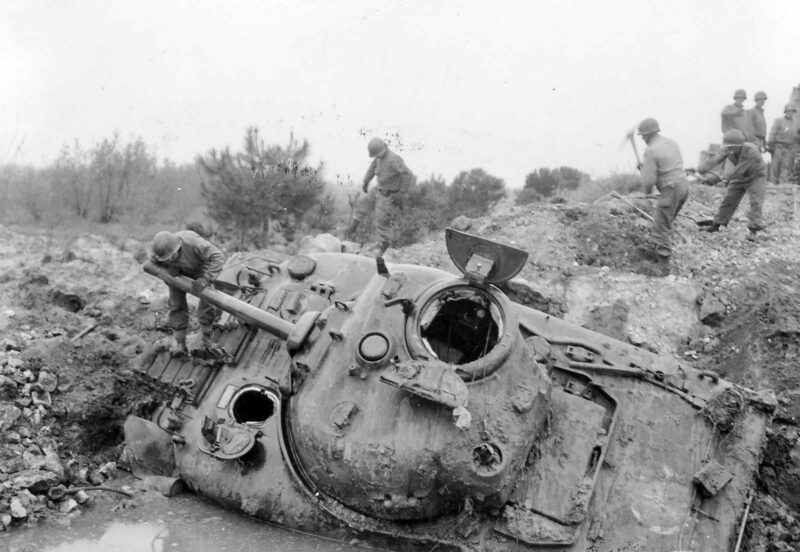 The Army, not exactly happy with the Sherman, even though it had proved very successful, had some flaws. The biggest flaws, could not be fixed without a redesign that would make it virtually a new vehicle. 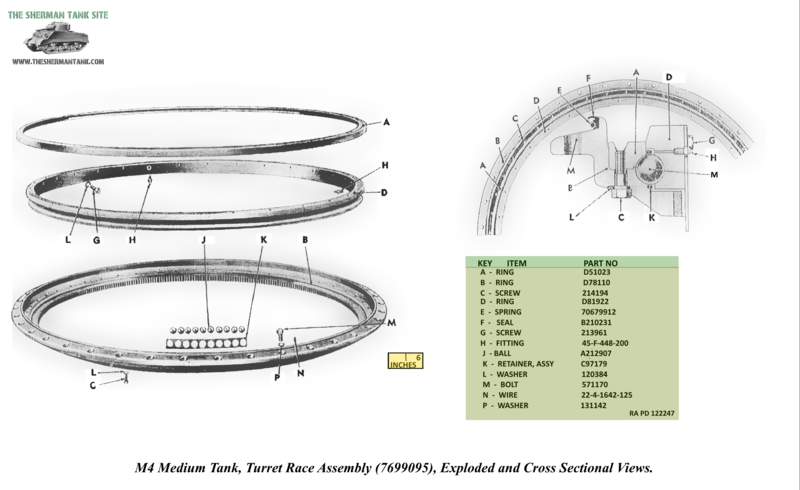 So a new vehicle series was designed and many ideas were tried out, including a lager turret designed for the M1 gun, but on the same turret ring diameter as the M4 Series. Some of these vehicles had Merritt, and ultimately lead to the M26/46 family, other tried out propulsion systems like the T23s gas-electric setup. None of these early versions were deemed a big enough improvement to warrant production, and were ultimately canceled, but the design lived on in becoming the M26, but the T23 turret did live on and was installed on an improved, wet storage M4A1 large hatch hull and tested. 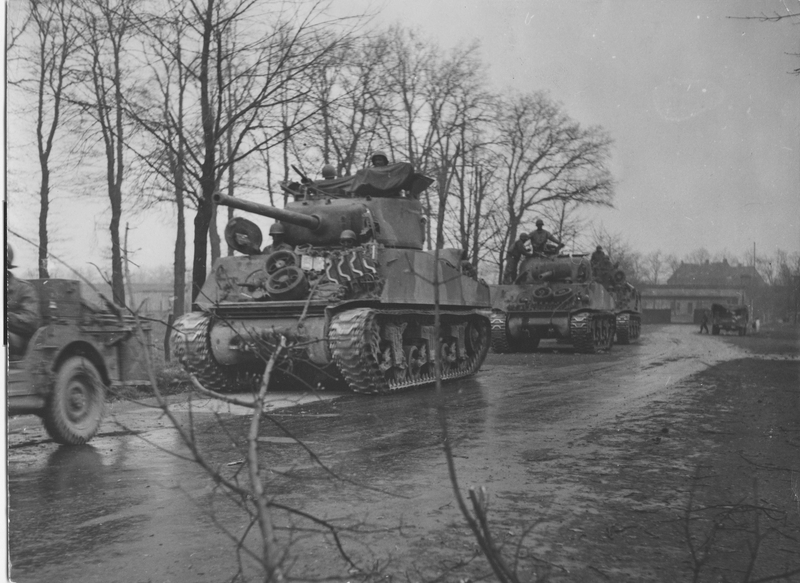 This is a very early production, M4A1 76w Sherman. It’s M1A1 gun barrel is not threaded, and it probably had the split loaders hatch and no turret ventilator. 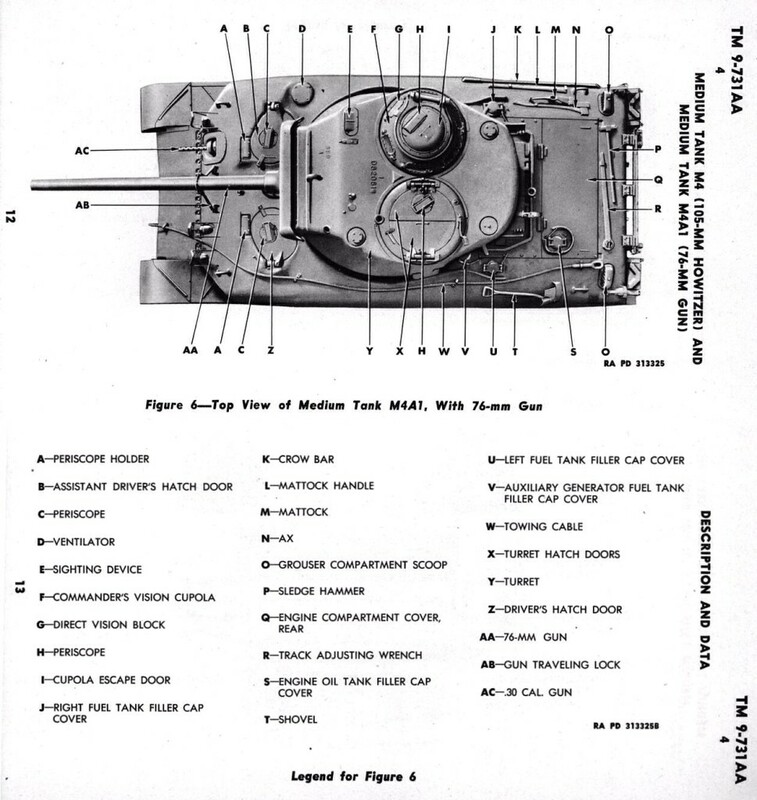 The T23 turret installed on the M4A1 needed some tweaking, but went into production and several hundred were in England in time to be issued for the D-Day landings. There was no interest in doing so by the troops, even after a demonstrations. Complaints ranged from to much muzzle blast making targeting hard, a poor HE round, and a lack of get up and go since the T23 turret was heavier. 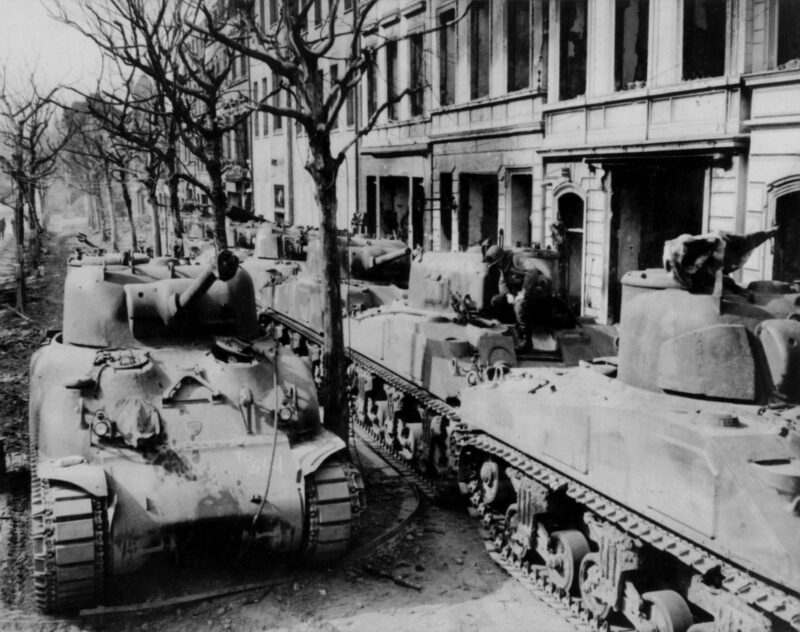 These complaints seemed minor by the time Normandy was under control and they M4A1 76W tanks were issued for Operation Cobra. The T23, or D82081 turrets went through a fairly rapid set of changes. Since the T23 was designed with a large very powerful ventilator installed in the hull, the turret lacked one. This proved to be an unpleasant problem for the crews that got these early turret, and the problem was fixed on the line. There was also a vestigial lifting eye, dropped very quickly, as well. 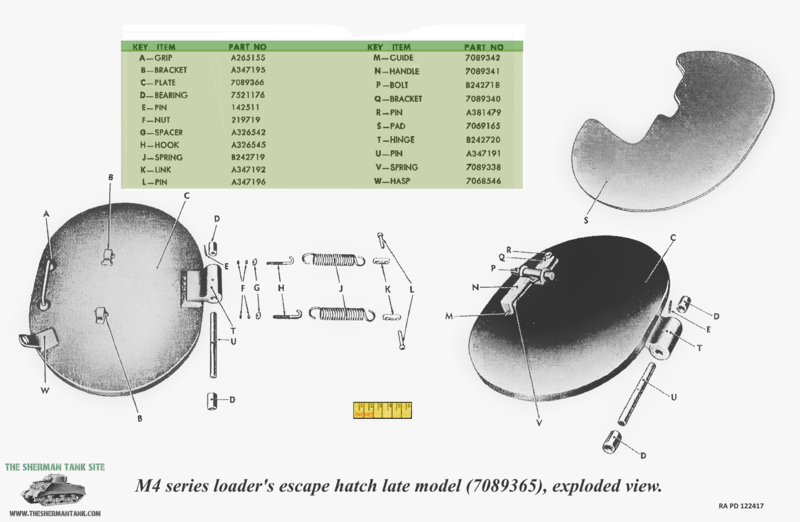 A large change came when the larger split loaders hatch was replaced with a smaller oval hatch and this was a the final part number change on the turret casting, ending on 7054366. Internally, the turrets started out with a nearly bull basket, but it was rapidly cut down to a half basket and in some cases removed. 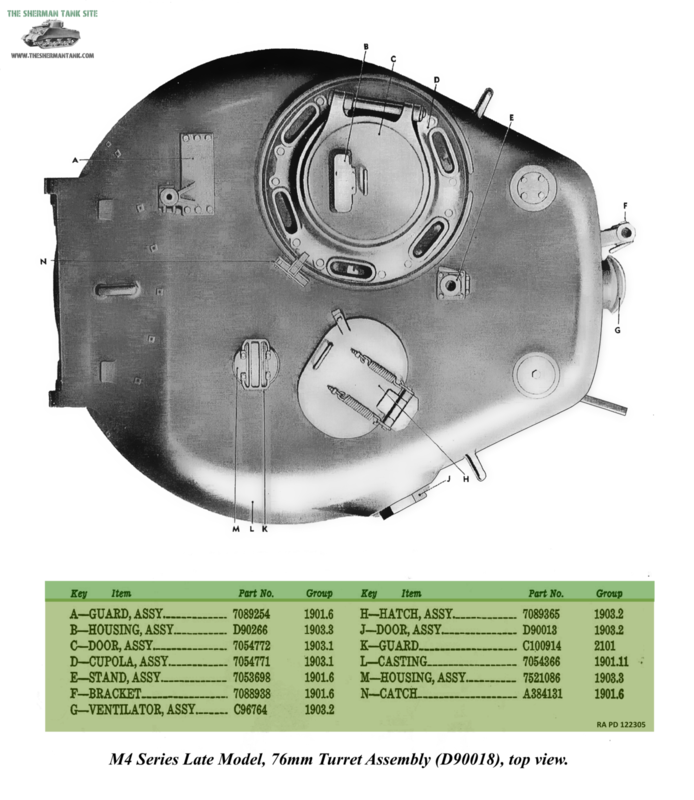 All T23 turrets came with the universally well received all around vision cupola for the commander. They all came with the improved gunner’s periscope system and a direct telescopic sight. They all either had a large split loaders hatch or the smaller oval hatch. 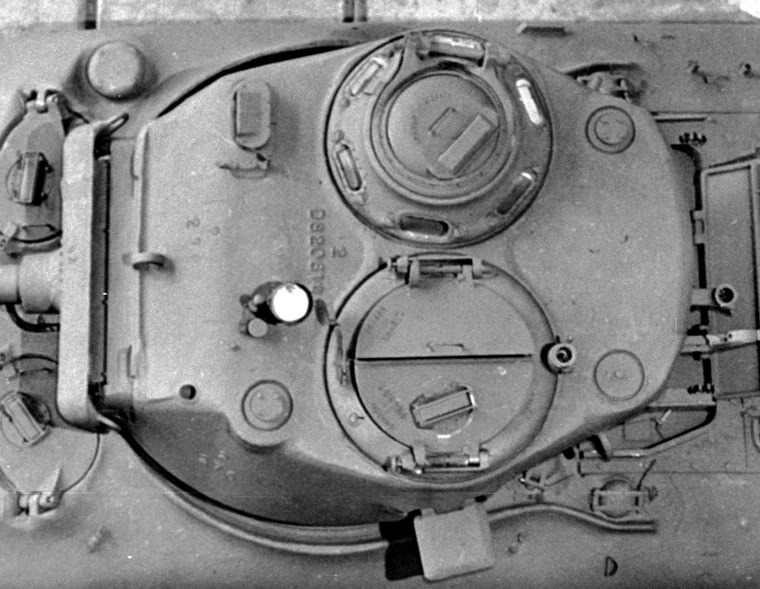 The oval loaders hatch tanks had a pedestal mount for the M2 .50 caliber gun, since the one on the loaders hatch had been removed. .30 caliber was commonly found added to the top of the Gunner’s periscope sight. The T23 used the M62 combination gun mount and the M1A1, M1A1C and M1A2 guns. The early production tanks received, unthreaded for a muzzle brake, M1A1 guns. 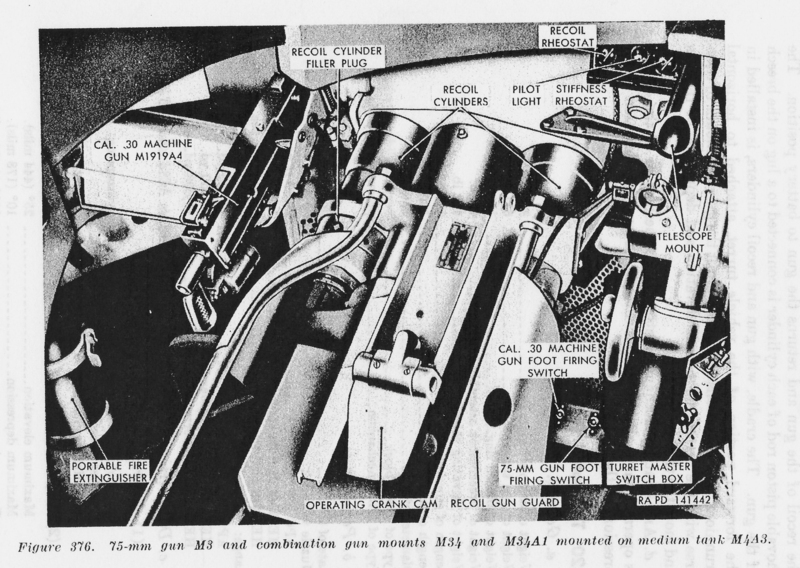 These were superseded by the M1A1Cs threaded, but with a thread protector installed, because the muzzle breaks were not ready, and then M1A2 guns with a full muzzle break. 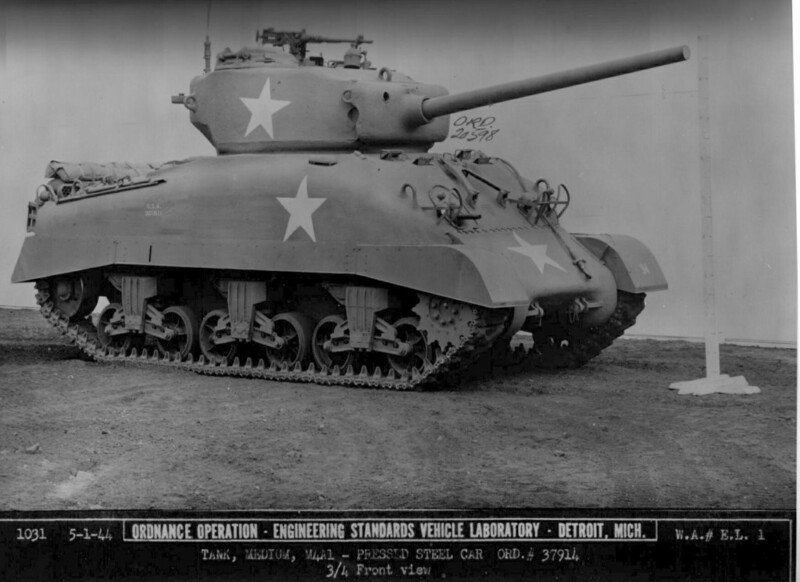 It was not uncommon to see early M4A3 76w HVSS tanks, commonly called the Easy 8, with a threaded and capped M1A1C. The early armor killing performance of this gun was disappointing, but the impact has been overblown. The M1 series was good for killing the PIV at any combat range, and would handle all the common SPGs. Heavier vehicles were rare, and when encountered, usually poorly handled and easy to defeat through flanking maneuvers. Shermans armed with the M3 75mm gun remained popular to the end of the war because they killed infantry better than the 76 tanks. Towards the end of the war, the penetration problem with the M1 guns was solved with a HVAP round. 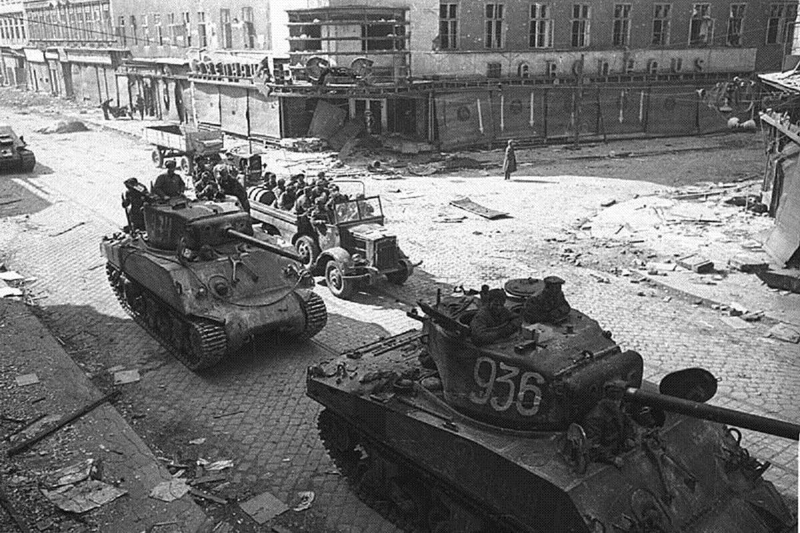 It had only been available in small numbers early on, but in the final months of the war most 76 tanks had 2 or 3 on board. By Korea, when the UN forces got their act together HVAP were not in short supply. 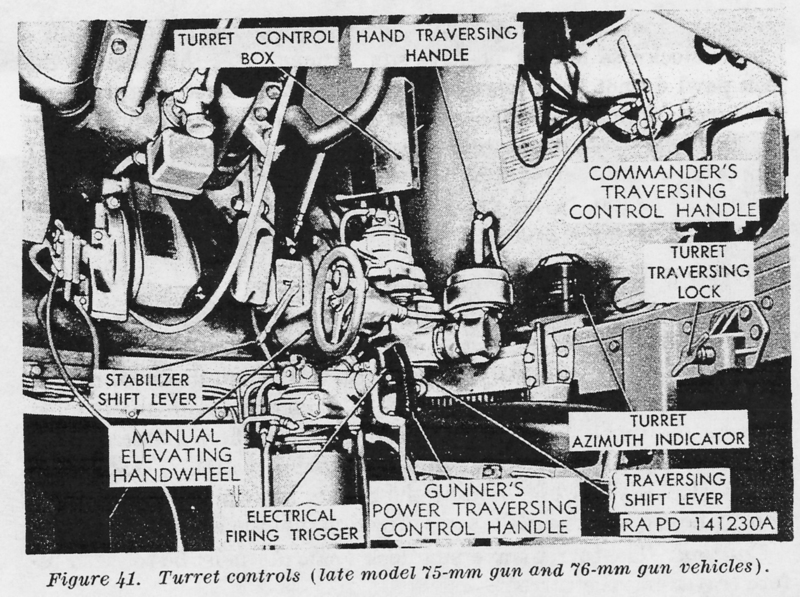 The T23 turrets appear to have only used the Oil Gear brand of power traverse, and they also had an improved, easier to use stabilizer. 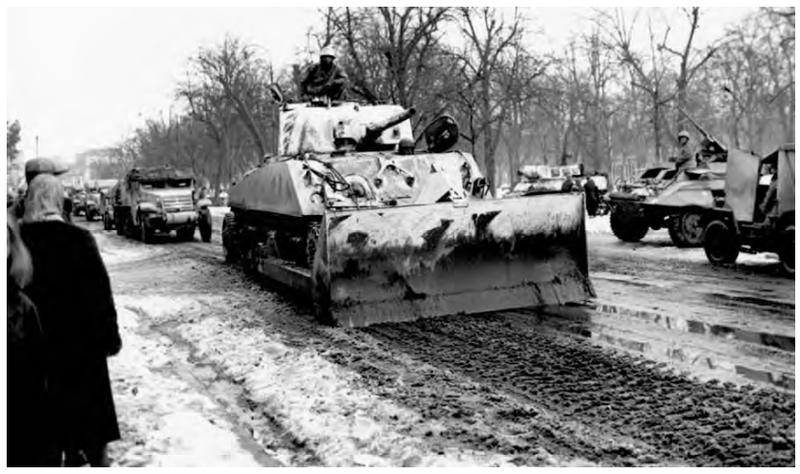 On the subject of the stabilizer, and knowing Americans like I do, I find it hard to believe, GI’s with years of time in these tanks training in the ZI or overseas before seeing combat, didn’t know how everything on their tanks worked and how to use it. 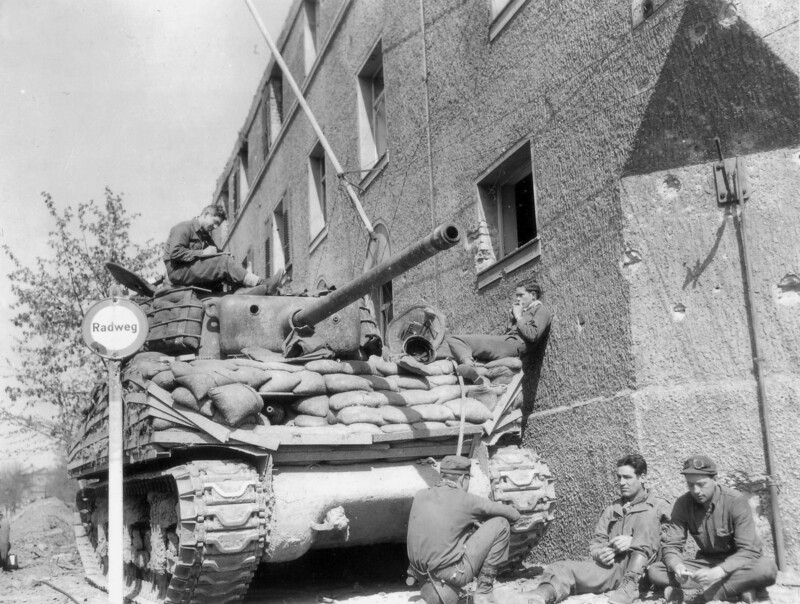 The stabilizer system was the same across all the 75mm tanks. The manuals for these tanks have instructions for how to use the stabilizer. Are we to believe the crews didn’t get to read these manuals, these were issued with the tank! Post war testing concluded a crew trained to use the stabilizer had a significant edge in getting the first shot off. First shot, and first hit, more than any other factor decided the fight! Why would men who in some cases trained on the tanks, and helped the army test them, like in the 781st Tank Battalion did. Sure boredom alone probably meant they had all read the manual almost enough to memorise it.